Good evening ladies! I have some very exciting news which I can’t wait to share. 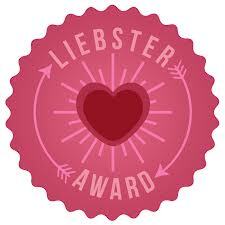 This morning I was checking my comments and saw that Glam Life Without Strife (http://glamlifewithoutstrife.wordpress.com/) has nominated me for the Liebster Blog Awards! I am so excited about this. I started my blog a month ago (to the day!) and it feels so good to get some recognition. Whenever I post, I feel like noone even reads what I say! So as you can imagine, this really has made my day! So thank you so much! You can see her post about it here, and you should definitely read her blog! 1. Which are your favorite drugstore and high end brands? This is quite hard for me as I love drugstore products. However I think my favourite would have to be Rimmel, it is super affordable and is always of a good quality. My favourite product of theirs is the Stay Matte Powder (I use the shade Translucent) and I use it everyday over foundation or BB cream. A close second would probably be Maybelline which is a tad more expensive, but still amazing. I don’t own many high end products, but my favourite high end brand is probably Benefit. I always stop and browse their counters, the ladies are always so pleasant. I love their packaging too! 2. If you could only use 5 makeup products, what would they be? Tough one! Definitely a mascara, my current favourite is the Loreal Double Extension Mascara which is amazing! My Rimmel Wake Me Up Foundation, Rimmel Stay Matte powder, Bourjois blush pot and Burts Bees Pomegranate Lip Balm would fill the remaining spots. Really hard to choose just 5 though! 3. What is your favorite thing to blog about? I really like doing product reviews and favourites. I love doing reviews so people can read my opinions and see whether (for me) they live up to the hype. Whenever I think about investing in a new product I ALWAYS check reviews on beauty blogs. Favourites are a great showcase of a few of the products I have been enjoying and using recently. 4. What is the next product you plan on buying? I really want to treat myself to a Benefit product. I am saving up my advantage points at Boots so hopefully I will be able to use my points to buy the They’re Real Mascara. I have heard so many good things about it, I really want to try it for myself! 5. What is your favorite color nail polish to wear? I think it depends on the time of the year. Over the Summer, my nails were always painted a pastel colour, usually from Barry M. My favourites were mint green and pale corals. However, now we are in autumn I prefer darker, more classic colours. My favourites at the moment are wine and navy nail polishes. 1. I study Biochemistry and Microbiology at University. 2. I have really dry skin, so I am always trying out new products for this. 3. I live in the North of England, but come from the Midlands originally. 4. I adore Cath Kidston, the floral prints are gorgeous! 5. I love dogs! I always wanted one when I was younger, but my parents never let me!